‘Gather around for a Wild Game Dinner prepared by James Beard Foundation Semifinalist Chef Matthew McClure of The Hive. 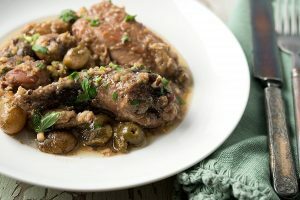 The evening will include a welcome reception and a four-course meal, with each course drawing inspiration from the book Pheasant, Quail, Cottontail: Upland Birds and Small Game from Field to Feast by Hank Shaw of the James Beard Foundation award-winining blog Hunter Angler Gardener Cook. Hank Shaw will be in attendance for the dinner, providing each guest a signed copy of the book to take home, included in the ticket price, to cook their own inspired dinner. Price is $75 per person, and does not include beverages, tax, or gratuity. > Seating is limited! Please contact Beth Waller with any questions regarding charges prior to purchase. 479-286-6517; ewaller@21chotels.com.